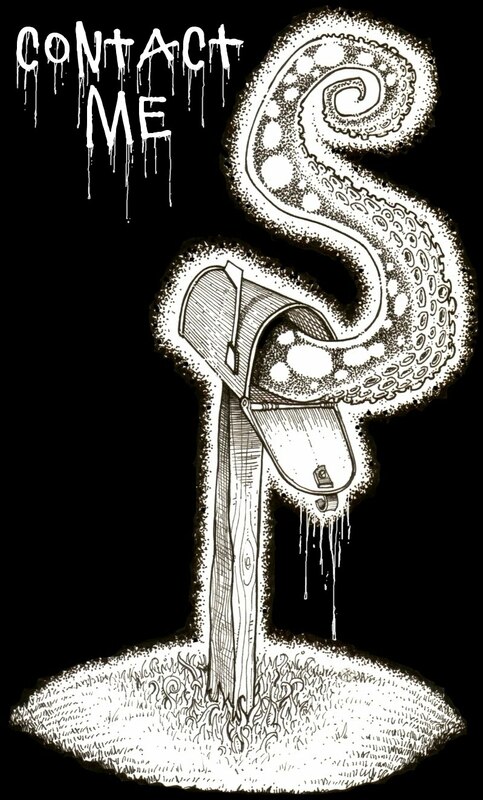 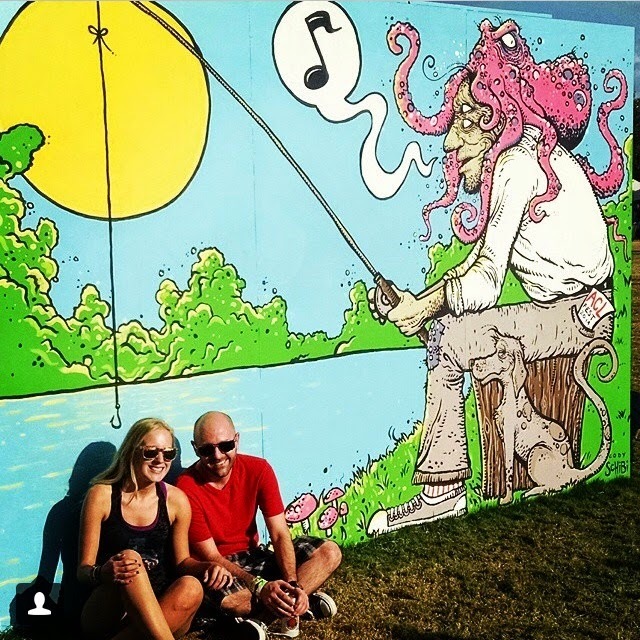 Drawing A Blank: The Art of Cody Schibi: Picture THIS! 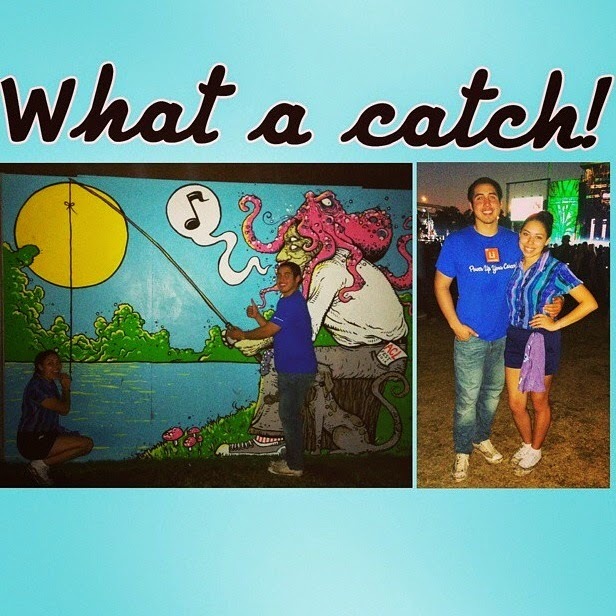 So, BOTH weekends of the Austin City Limits Music Festival have come to a close & from what I've heard, it was a blast! 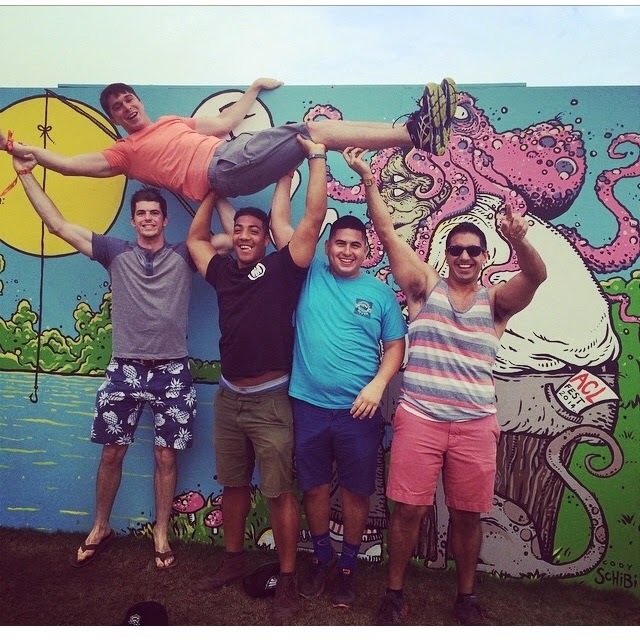 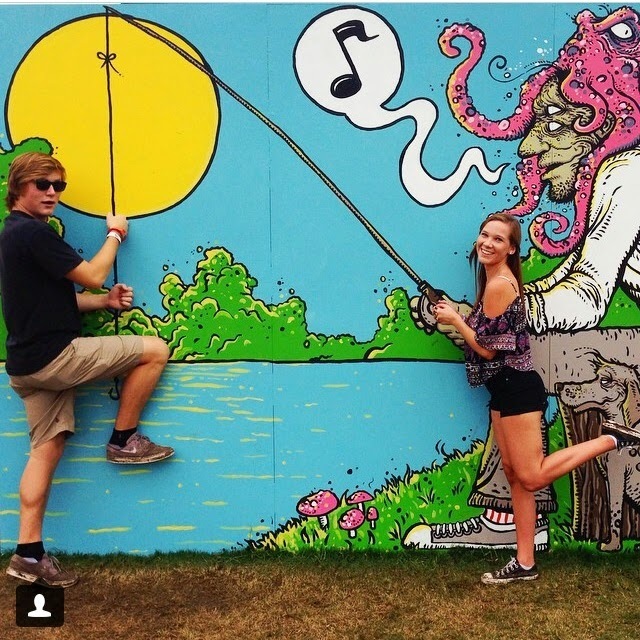 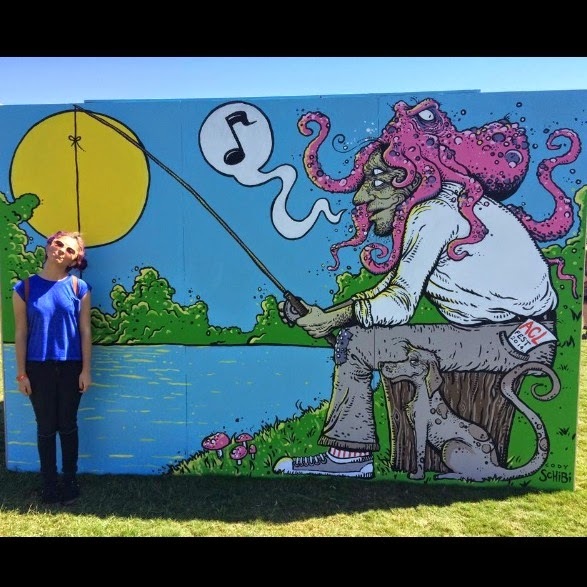 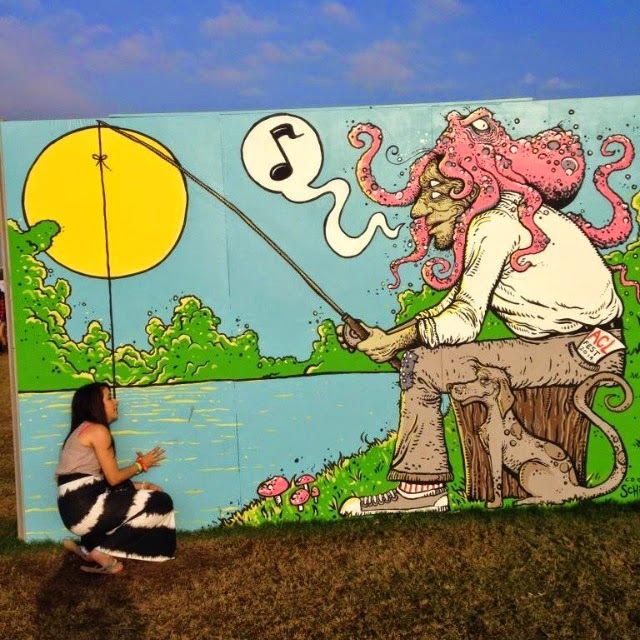 I definitely had a blast painting a giant 12'x8' wall at the festival a few weeks ago & have absolutely LOVED all the photos that have swarmed my Instagram/Facebook/Twitter feed of people getting "hooked" on it! 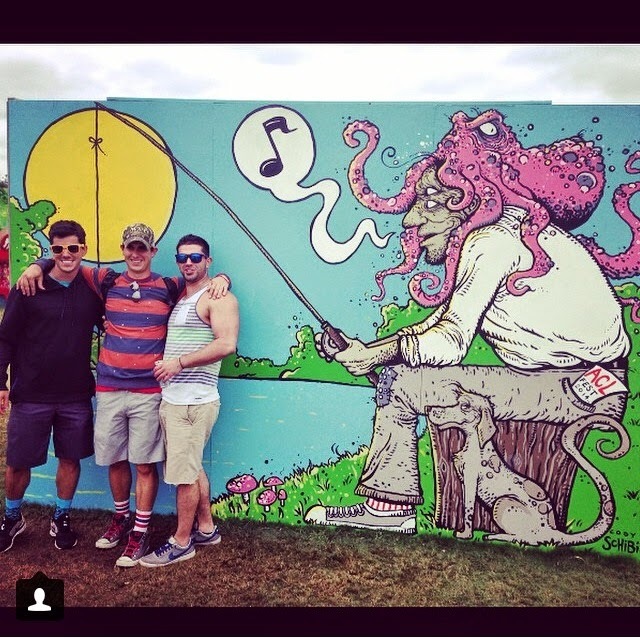 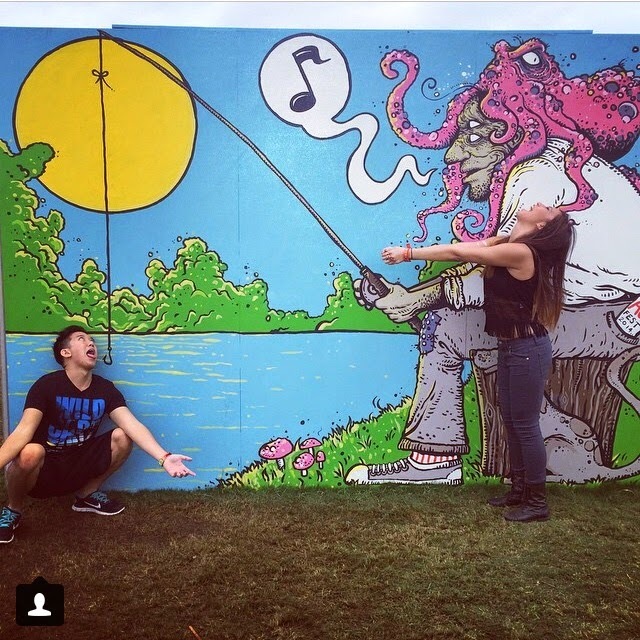 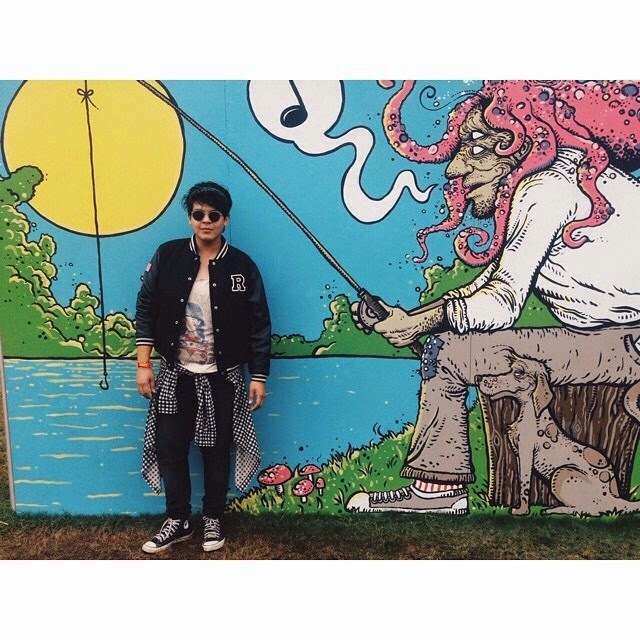 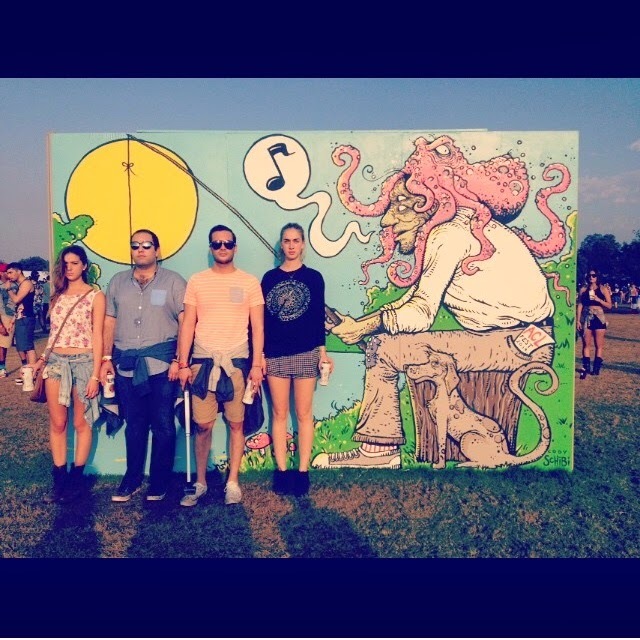 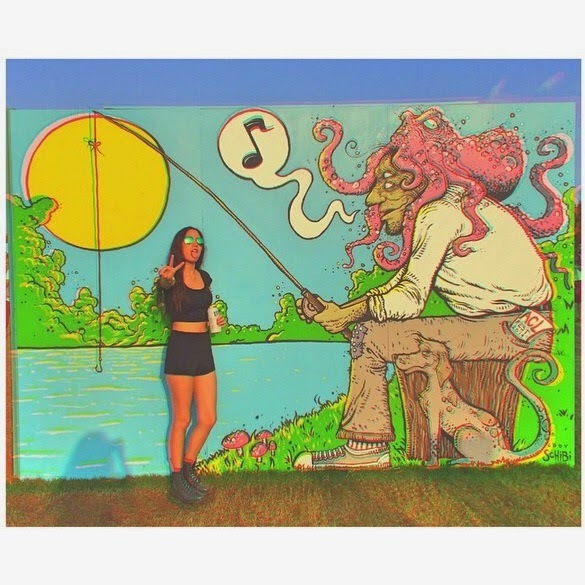 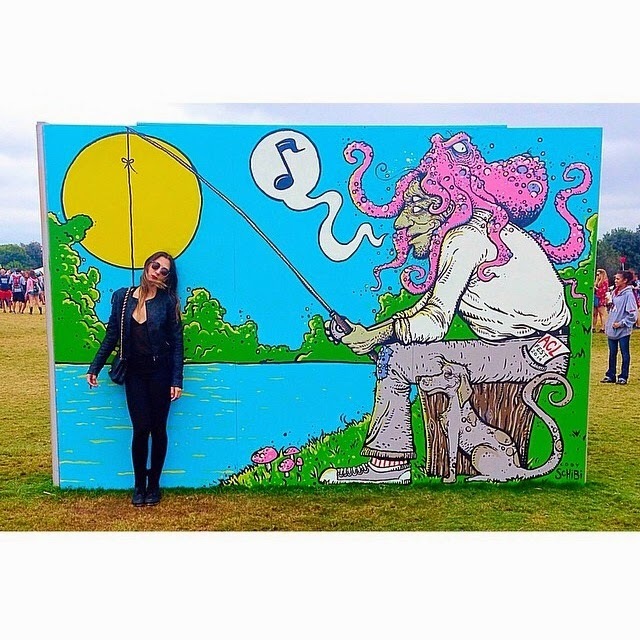 Here are ONLY A FEW of the amazing photos some of you took from ACL Fest with my fisherman art. 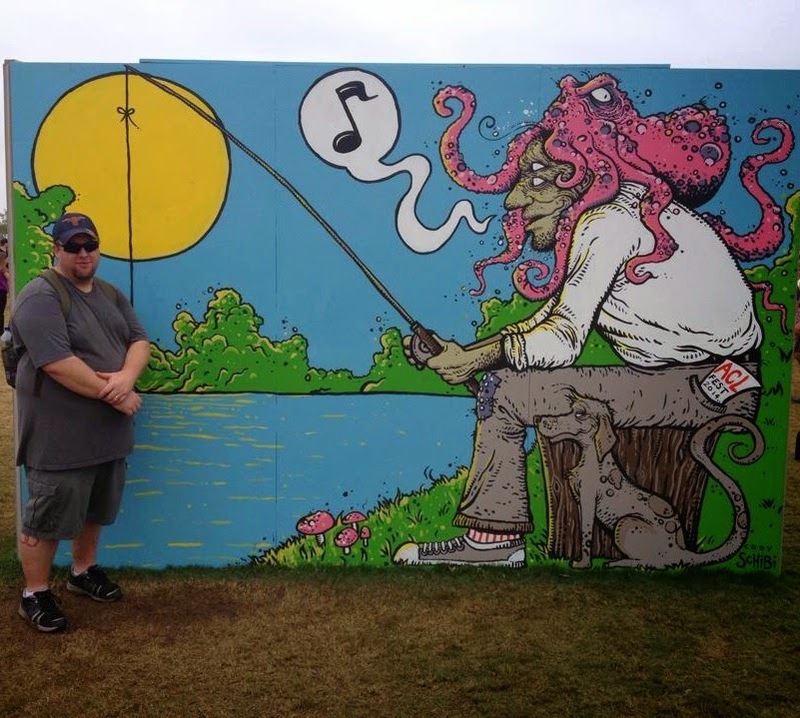 (if you'd like yours added, please tag/add me on Instagram, Twitter or Facebook) I'd have to, again, give a GIANT thanks to local badasses SPRATX & HOPE for organizing all of this & providing the paint/opportunity.